Thunderbolt the man with the reputation. Lightfoot the kid who's about to make one! Ligthfoot is in the middle of stealing a nice set of wheels when he encounters a minister running for his life. 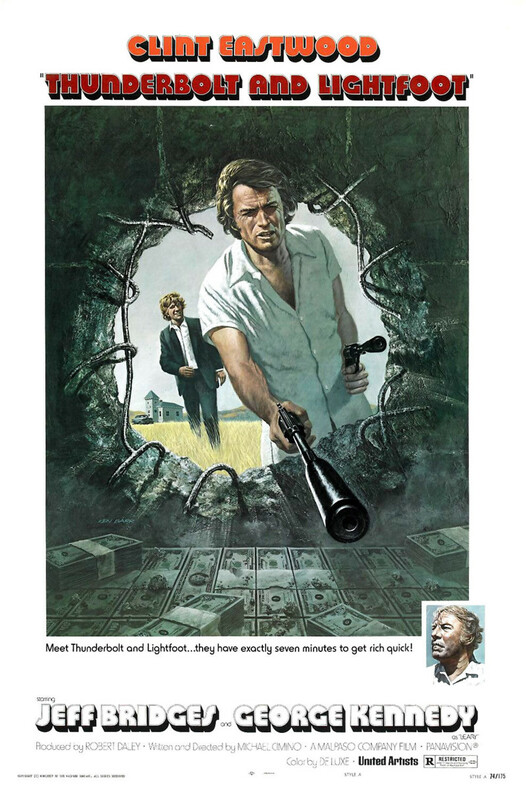 Lightfoot rescues the preacher only to discover his is a safe cracking bank robber otherwise known as The Thunderbolt. The two become close buddies as Lightfoot helps Thunderbolt hide out from his old gang. The gang wants to kill him for double crossing them. Although, Thunderbolt claims he is innocent of this deed. After an abduction and confrontation Thunderbolt squares things with the gang. Lightfoot becomes the getaway driver for the gang as they plan another robbery. Things go awry and Thunderbolt and Lightfoot are forced to flee by hitching a ride. The two try picking up where they left off, but tragedy intervenes.